Chop onion, celery and carrots and set aside. Chop the yellow pepper and cube the sweet potatoes and set aside. To prepare the chicken you can leave the thighs whole or if using chicken breasts cut into thigh size pieces. You can also choose to cut the chicken into 2 inch cubes. Heat olive oil over medium high heat. Cook chicken for 3 minutes on each side. Remove from pan and keep warm. Saute the onions, celery and carrots in the olive oil for 5-7 minutes. You may need to add a bit more olive oil. Add the yellow pepper and sweet potatoes and saute for 3 more minutes. Stir in the curry powder, salt and pepper. Stir in the chicken broth and chicken, bring to a boil, reduce heat and simmer covered for 10 minutes. Stir in the coconut milk, simmer until the sweet potatoes reach the desired consistency, no more than 5-10 minutes. Pulled this one from my favorite Paleo cookbook yet: Paleo Comfort Foods! Whisk coconut flour, egg whites, water, and baking powder (optional) together in a large bowl. Preheat small skillet on medium-high. Melt 1 teaspoon of coconut oil in the pan and swirl around to coat. Pour about 3 tablespoons of batter into the pan. Tilt and swirl the skillet to spread out the batter into a round thin tortilla shape. Cook the other side until golden brown. Remove to plate. Repeat the steps 3-6. This should make 8-10 tortillas. Heat 1 tbsp coconut oil in a skillet on medium-high. Add chicken, cook through and then set aside. Preheat oven to 350 degrees. Meanwhile, in a large skillet on medium-high heat add 1 tbsp coconut oil. Once the oil is hot, add the poblano pepper, garlic, and onion. Saute until onions are translucent. Once the onions are translucent, add in cumin, chili powder, chicken and about 1/2 cup of enchilada sauce. Reduce heat and simmer to cook off any runny liquid. Pour small amount of enchilada sauce into a small baking dish. Carefully take one tortilla at a time and fill with some of the chicken mixture. Roll, or simply fold, and place seam side down in the dish. 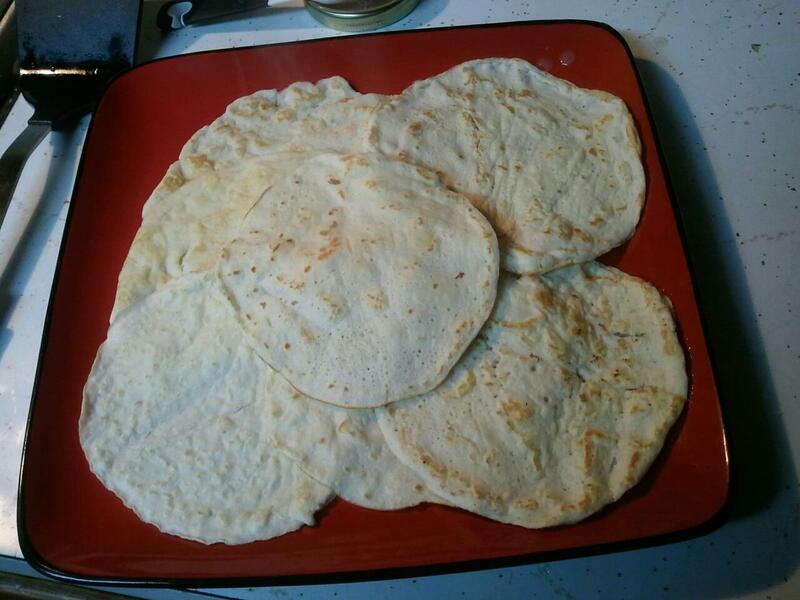 Repeat with all the tortillas until the pan is full. 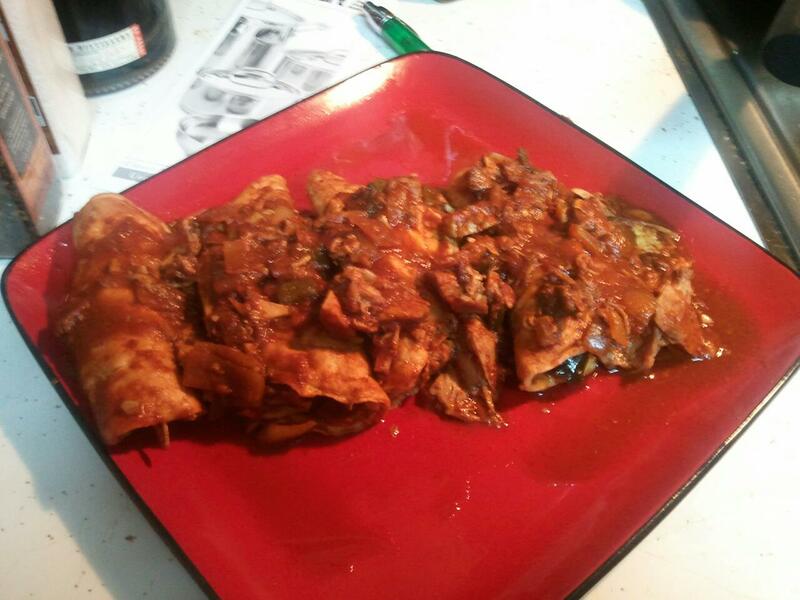 Pour remaining enchilada sauce over the enchiladas and then bake for 10 minutes. Carefully scoop out 2-3 enchiladas, top with olives or cilantro, and dig in! Peel the beets and butternut squash (+remove the seeds). Chop into small pieces, salt/pepper and oil the pieces. Roast until the squash is soft, about 20 minutes (depending on how big the pieces are). While the veggies are roasting… In a large bowl, combine all the spices together. Toss the chicken pieces into the bowl and coat them evenly with the spice mixture. Remove from the pan and add to the serving bowl. Wash and chop the lettuce. Add it, along with the rest of the “tasty” ingredients to the serving bowl. Add the squash and beets too. For the dressing… Combine all ingredients into a small food processor and process until smooth. Of course, you could use a whisk and bowl, in lieu –just make sure you’ve smashed the avocado up before adding it to the dressing. * This dressing is RAD on everything. Seriously everything. Spices (I didn’t really measure, just eye-balled): curry powder,red pepper flakes, turmeric, coriander, cumin, cinnamon. Heat oil in pan with medium heat. Add onion and cook for about 3-4 minutes. Next add ginger and garlic and saute for another 2-3 minutes. Add spices (except cinnamon) and mix well. Next add chicken and 1/2 can coconut milk. Mix and simmer for about 15-20 minutes, stirring frequently. 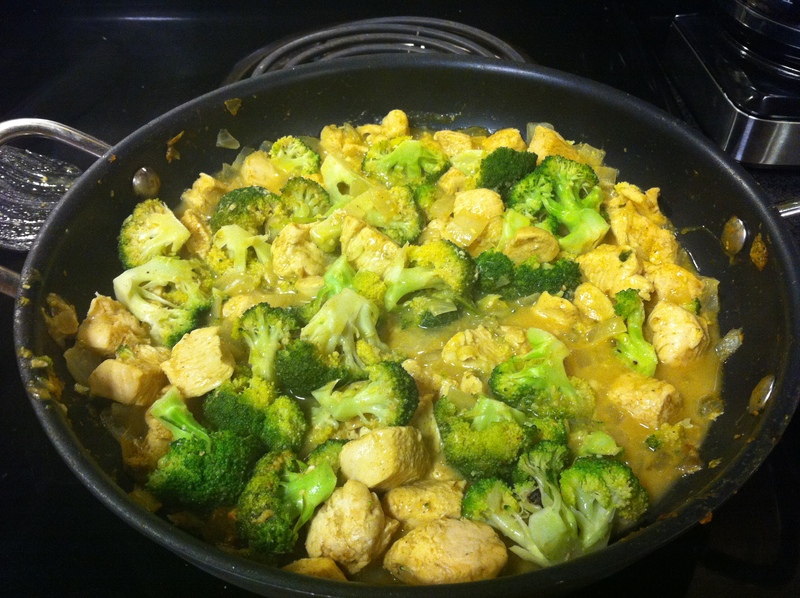 Add broccoli and the rest of the coconut milk, mix well and stir periodically until broccoli is cooked. Add cinnamon. Salt and pepper to taste.